Written by Co-founder, Chan Weitian. Edited by Miriam Ong. Many Singaporean couples are feeling the pinch as the cost to hold a wedding in Singapore has been rising steadily. In 2016, the average wedding held in Singapore costs SGD 50,000. With that, my fiancee and I decided that it would be more cost effective if we could hold our wedding overseas instead. While it may be true that fewer guests are able to witness you and your partner tying the knot if you hold your wedding overseas, a wedding ceremony with fewer guests isn’t too bad either, as it can be a close and intimate celebration. A beautiful beach – We have always dreamed of having a beach wedding. Hence, our wedding destination must have a beautiful beach. Short travel duration – My grandparents will be flying over from Singapore. The Travel duration must not be too long either, around 3 hours and less, as my grandparents are quite old. Affordable travel costs – There should be a direct budget flight that goes to our wedding destination. We will like to look after our friends’ wallets! I would like to share with you our 10 Southeast Asian beach wedding destinations that we have shortlisted. Bali has been well established as a wedding destinations. 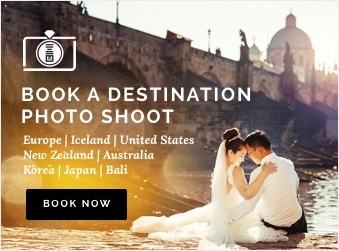 Loaded with Bali wedding photographers, wedding planners etc, you will be spoilt for choice. You can also choose to hold your wedding in a resort/ hotel, villa or restaurant. 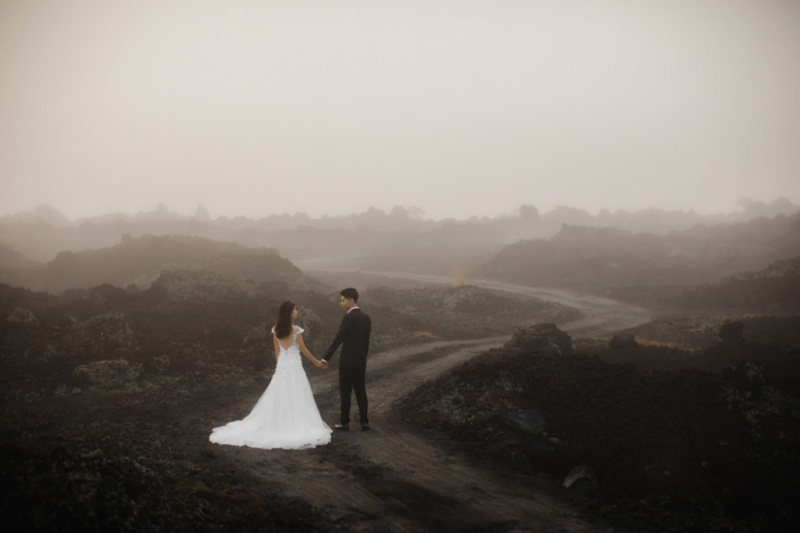 Many couples have held their wedding on the island, which meant that most likely, the wedding resort and wedding planners will be experienced and you do not have to worry too much about the logistics. See this beach wedding in Bali’s Four Seasons Resort. With deep blue skies, clear turquoise sea and stretches of golden sand, Phuket is Thailand’s little slice of paradise. In the land of smiles, you can be assured that your guests and their tummies will be well taken care of. With the huge variety of savoury and delectable local food, ranging from Tom Yum Soup to Coconut Ice Cream, why not go for a local buffet during your wedding reception instead to give your wedding a unique touch? 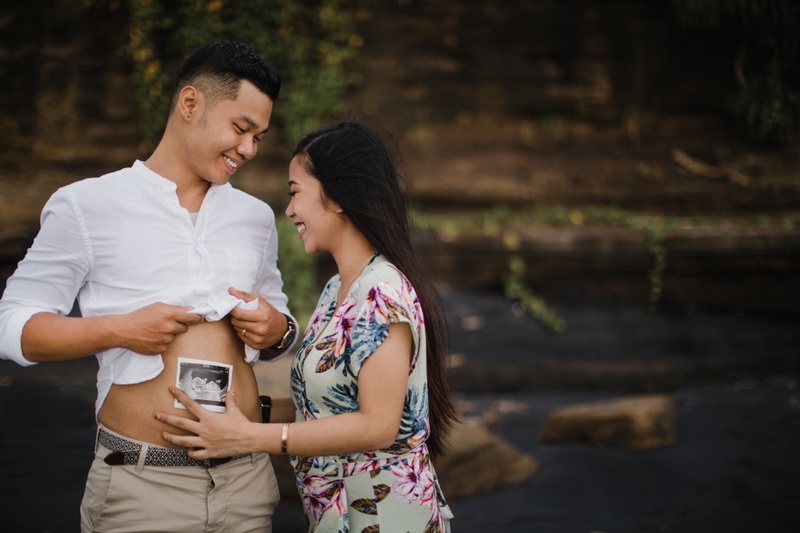 Also, Phuket is like the ‘Bali’ of Thailand, with many Thailand wedding photographers and planners and so you do not have to stress over all the quality of their services too much. Furthermore, there are plenty of flights from Singapore to Phuket. So, this is one destination we definitely got our eyes on! Located on the shore of the Andaman sea, Krabi is commonly dubbed as the cheaper version of Phuket. If you’re looking for a destination wedding at a beach but you’re on a budget then pick Krabi! The airfare and accommodation is cheaper so you and your guests don’t have to spend a bomb to go abroad. Besides, Krabi has some of the world’s most breathtaking beaches at the Ko Phi Phi islands! There can be nothing more romantic than saying ‘I do’ in front of a view of deep emerald waters and steep, with dramatic limestone cliffs in the distance. Some of the hotels and resorts around the main tourist areas in Krabi even offer comprehensive wedding packages. A destination wedding in Krabi isn’t as hard as you think! This, is the land of the full moon party, an all-night beach party. I have heard a lot about this party island from my cousins, but have never been there myself. Like Nha Trang, there are no budget flights to Koh Samui and we had to cross this off our list. Thailand has no lack of beautiful beaches where you can have your destination wedding at and Hua Hin is definitely one of them! If you are looking for a less touristy spot then you may want to consider Hua Hin, where the beaches are a lot more secluded and hidden than Phuket or Krabi. The downside of having a wedding at Hua Hin is that it doesn’t have frequent direct flights from Singapore. The best option would be to fly directly to Bangkok and then take a 3hr drive to Hua Hin, however that can get a little inconvenient for some guests. Here’s an equally stunning beach haven that is closer to home. Only a 1.5hrs flight away from Singapore, Langkawi has pristine beaches and tranquil waters, complete with magnificent sunset views! There’s also a few famous beach resorts you can choose to get hitched at, including The Datai Langkawi, Casa del Mar, the Andaman and Tanjung Rhu Resort. With all these different venues, you’ll be spoilt for choice! For those who would want to have a beach wedding that’s a cut above the rest, maybe you can consider Pangkor Laut, located at Perak. Pangkor Laut is a privately owned island and has only one resort, so you and your guests can enjoy an exclusive and luxurious beach wedding, and enjoy all of the secluded beaches and rainforests by yourself! However there’s no direct flight from Singapore to Pangkor Laut, which may incur some hassle for you and your guests in terms of transportation. Also, Pangkor Laut can be quite pricey during peak season, but you’ll be definitely be getting the best value from your money. Boracay is yet another beach paradise! It is not only perfect for a short vacation getaway, but it’s also ideal for a destination wedding! With soft white sand, clear turquoise waters and gorgeous sunsets, indulge in a picture-perfect beach wedding that both you and your guests will enjoy. Besides there’s aplenty of wedding planners based in Boracay, which will help to make your wedding journey a breeze! Ever since we’ve visited Da Nang in 2015, Da Nang has been on our list. Besides, we love Da Nang as it is one of the few locations where there’s a beach and there’s a high chance of having good weather (20-25 degrees). Just imagine, being at an air-conditioned beach! Who wouldn’t like that! Furthermore, there is also a city, Hoi An, nearby, to provide great entertainment for our guests. City tour, anyone? Da Nang is also relatively cheaper compared to other locations. However, we were hesitant about choosing Da Nang as our wedding destination as the timings for the budget flight sucked (6PM to 7:40PM!!) and would bring a lot of inconvenience for our guests. This is another affordable wedding location. We heard about this destination while we went on a tour to Ho Chi Minh City. Many well established hotels, such as Intercontinental, are found there too, and they are much more affordable compared to those in Da Nang. Sadly, there are no direct flights from Singapore. The only option for our guests and ourselves, is to have a transit via Ho Chi Minh. Having a destination wedding does not imply that you will have to break your bank to be able to afford it. With many cheap, gorgeous and exotic Asia destinations surrounding Singapore, you can consider having your own destination wedding too!